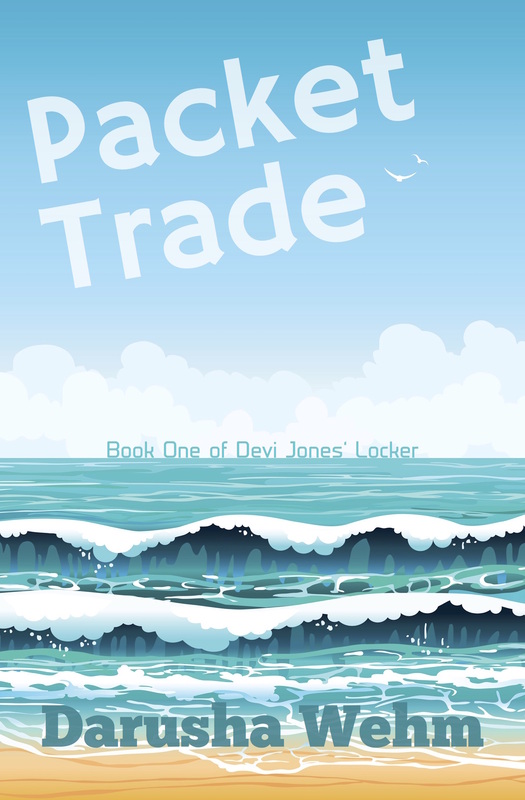 Packet Trade is book one of Devi Jones’ Locker. It will be released as five Kindle episodes, with new episodes every two weeks, or you can buy the full volume at any time in ebook or paperback. Pre-orders for the first episode and the complete book will be up soon, so watch this space. If you’re already intrigued, you can read a sample here. Note to my regular readers: This is a Darusha Wehm without the M. book, so there won’t be any AIs, robots or space travel. There’s still science, but it’s not speculative.